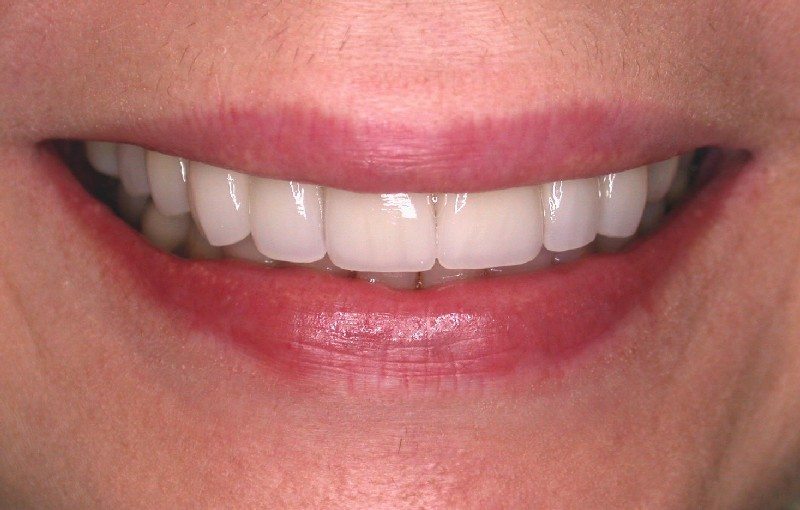 It requires a considerable amount of artistic talent to do a combination case of dental implants and porcelain veneers. There is always metal underneath a dental implant crown, where the porcelain veneer on the front of a natural tooth has natural translucency and is usually made of a different type of porcelain. 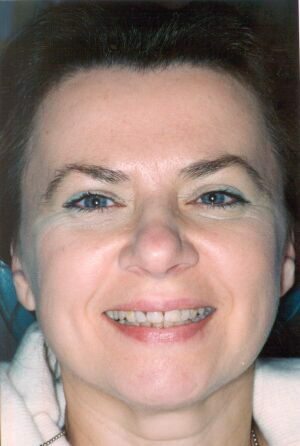 Here is some combination dental implant and veneer work by Dr. Richard Champagne. There are tooth gaps, and the teeth are different colors. Because of gum disease, some of these teeth are going to need to be extracted. Click on the photo to see a close up picture of her smile. 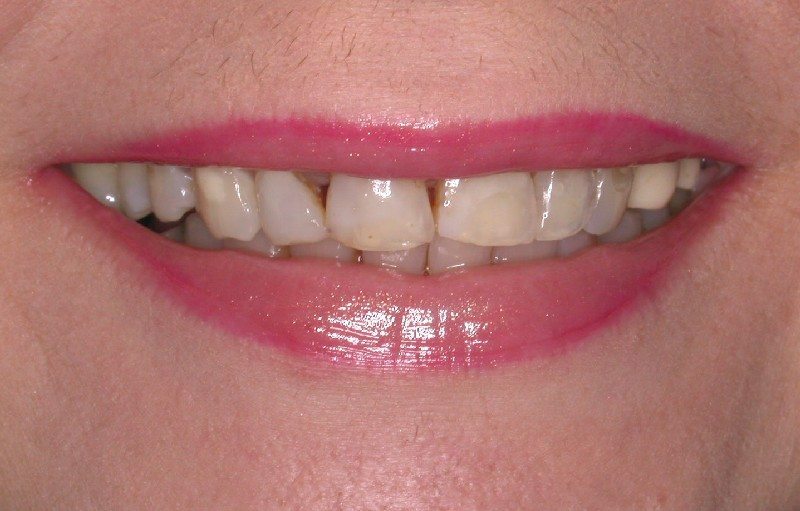 After placing dental implants plus porcelain veneers on the remaining teeth that show when she smiles, her smile is much more relaxed and natural. 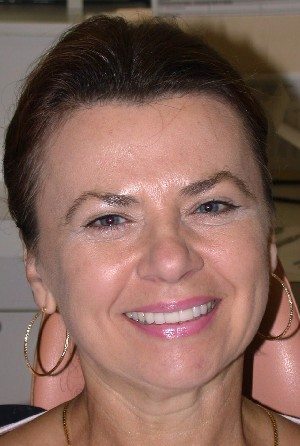 GlamSmile is a new shortcut technique for doing porcelain veneers. Read why Dr. Hall doesn’t recommend this technique. Lumineers are popular, but there is a lot of “hype” in their promotion. Read more by clicking the link. Vivaneers are another new product that are just like Lumineers. Read information about what porcelain veneers cost. What about Clear Choice Dental Implants Centers?